People will always have opinions. They will sometimes be different than yours, and may make you feel like your own thoughts are misleading you. But sometimes you have to trust your gut. If something doesn’t feel right and all your instincts are telling you to walk away, you have to follow this, no matter what others may say. From the opposite angle, if your heart is telling you to do something, but someone is trying to convince you this is wrong, sometimes you have to accept that not everyone will understand your choices. By all means, listen to others and take note of their advice. But be comfortable with your own decisions – it is your life, you are in charge and it will raise your self-esteem if you become confident with your own opinions and decisions. 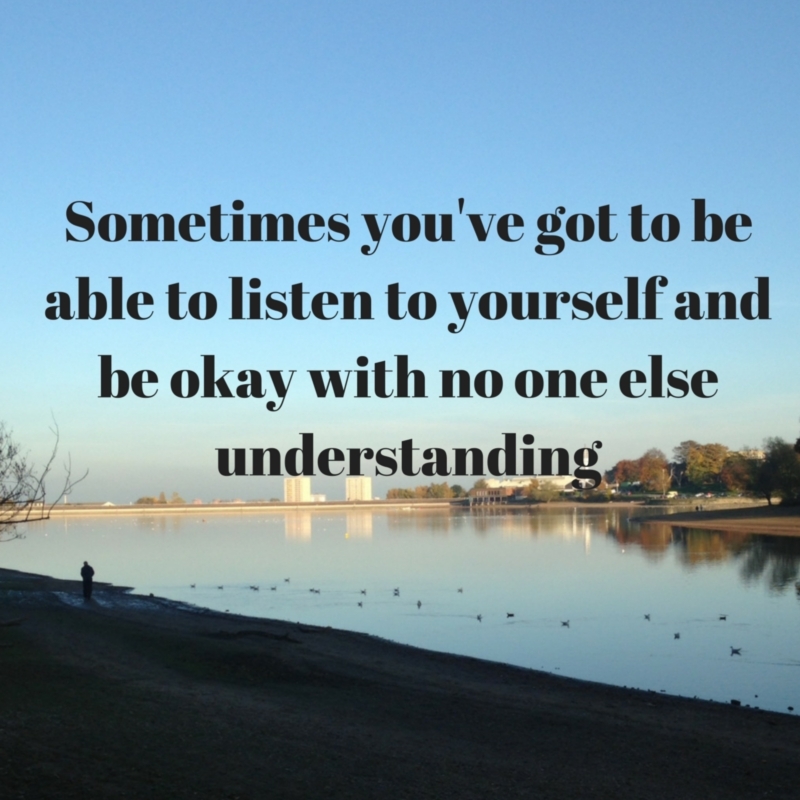 Listen to yourself, you know best about you.